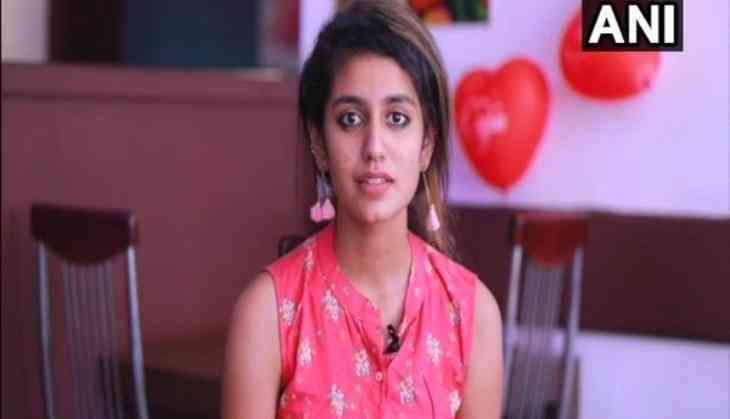 The Supreme Court will on Tuesday is likely to hear Malayalam actress Priya Prakash Varrier's plea seeking quashing of FIRs and all other criminal proceedings initiated against her in connection with the viral song scene from her upcoming movie. Yesterday, the actress had filed a plea in the Apex Court over the case registered against her film 'Oru Adaar Love' in Telangana. Earlier on February 16, the Raza Academy had penned a letter to Union Information and Broadcasting Minister Smriti Irani seeking a ban on internet sensation Varrier's song 'Manikya Malaraya Poovi' from her debut movie 'Oru Adaar Love'. The academy alleged that the Malayalam song insulted Prophet Mohammad and his 'pious wife'. Asif Sardar, President, Rehmani Group, urged Smriti Irani to therefore "immediately issue instructions to the censor board and the film maker to cut the song and spare the nation from yet another controversy." The academy also held a protest in Mumbai in front of the Minara Mosque, where they held placards with messages like, "Stop misuse of sacred personalities." The first song of Malayalam movie 'Oru Adaar Love' became viral on social media within a few hours of its release because of Varrier's articulations. Since then, the 18-year-old has become the talk of the town.